Play Tennis with an ocean view! Connect with others, Get strong and healthy too! With the option of both outdoor and indoor facilities, you can play tennis 12 months of the year. 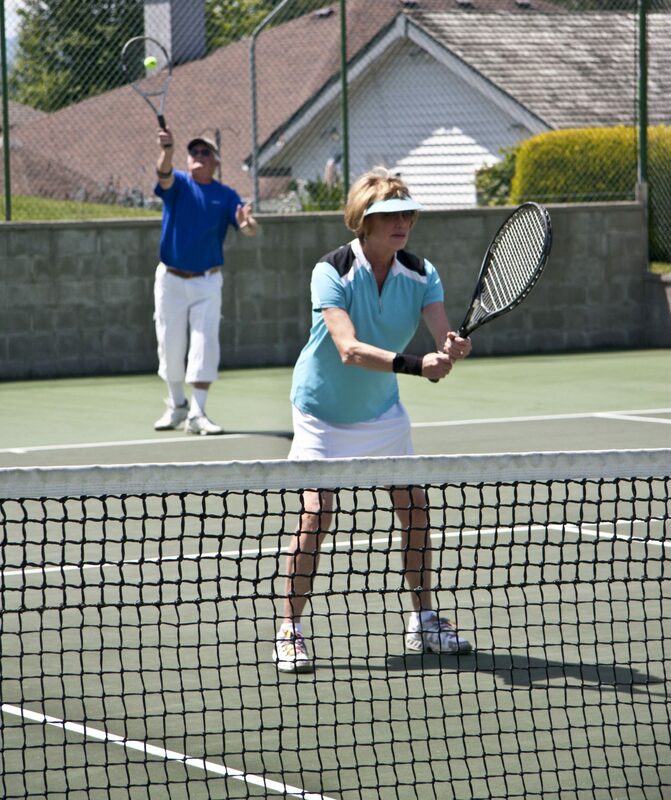 The Arbutus Ridge Tennis Club allows you free access to a private outdoor court. All residents are welcome to use the court. Pay-as-you-play is also available year round at the Arbutus Ridge Golf Club indoor tennis facility. Tennis instruction is also available. After playing on the three hard surface courts, you may want to visit the adjacent Satellite Bar & Grille for some refreshments. The Arbutus Ridge Tennis Club uses the three indoor courts for group play in the winter months and as many as eight courts at Brentwood College, a few kilometers away in Mill Bay, in the summer months. There is weekly organized tennis as well as several fun tournaments held during the year. There are also several, very popular, parties held in the Arbutus Room throughout the year. 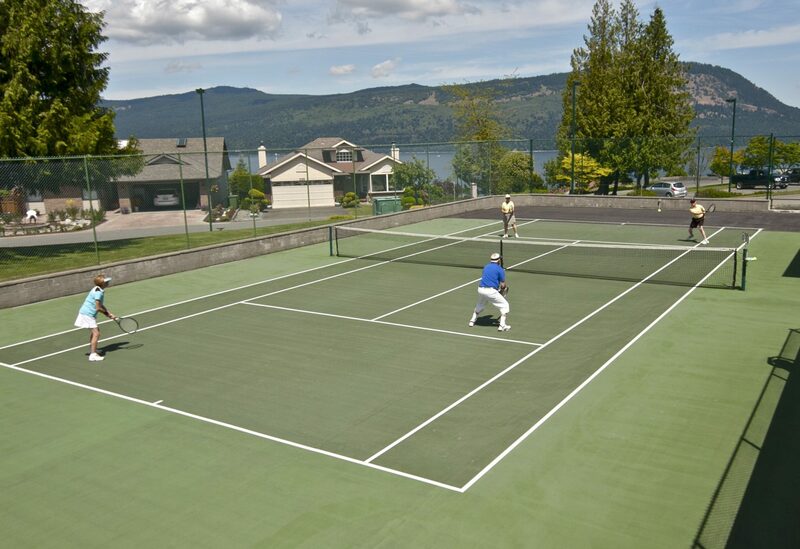 We are a short drive away from the South Cowichan Lawn Tennis Club. This is one of the few remaining lawn tennis clubs in North America. There are seven grass courts and two hard courts. Some Arbutus Ridge residents are members of both the Arbutus Ridge Tennis Club and the South Cowichan Lawn Tennis Club.